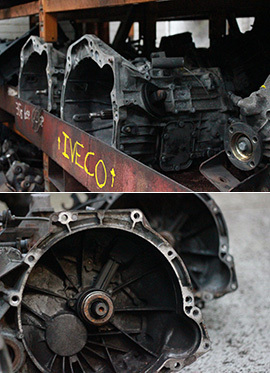 Yorkshire Van Breakers has an extensive range of top quality used gearboxes. If you can’t see the gearbox you want in our online store, call us on: 01274 371122, email us at yorkshirevan@googlemail.com or fill in our ‘Tell Us What You Want’ form as new stock is constantly arriving and our friendly team will be happy to help. Unlike many other van breaking companies, Yorkshire Van Breakers offers a full 60 money back warranty on all mechanical parts and a 14 day returns policy on all non-mechanical parts. All our gearboxes come with FREE NEXT DAY DELIVERY but you are also able to collect the item at your convenience from our Bradford depot.